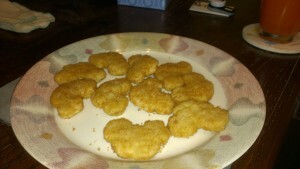 … I can opt to eat Mickey Mouse-shaped chicken nuggets for lunch. Because I’m an adult, I can eat ice cream for breakfast. This is one of the best things about being an adult. They don’t tell you this, when you’re growing up. But… it’s true.